Host Ammad Sheikh was flying solo this week or was he? Due to the buzz that he was creating Ayaz "Daddy" Dar was co hosting this week. This was another jam packed show as usual. The plan was to have Diamond Dallas Page the founder of DDP Yoga and of WWE and WCW fame on the show. But then they were joined on the air by none other than DDP - Diamond Dallas Page. Diamond Dallas spoke about how he got in to Yoga and how it has helped people and transformed lives. There was the story of Arthur an injured veteran who couldn't walk with out the assistance of a walker, he was in a back brace. He tried the DDP Yoga and he was able to not only lose 140 pounds but able to walk again. There is story after story. It was obvious from discussing this with Diamond Dallas that he was very passionate about his project. While discussing this with him a voice rang out in the back ground. DDP began speaking to Jake the Snake Roberts. Hosts Ammad Sheikh and Ayaz Dar quickly got Jake the Snake on the air on SASNRadio.com and began to speak to Jake the Snake about his regrets in wrestling. How he was screwed out of an opportunity due to his increasing popularity. What happened to the snakes? Next week they are going to be speaking to Hussein and Hamza Abdullah the Abdullah brothers who will be joining us to talk about their spiritual journey as they turned down a lot of money to perform Hajj. They were featured on Outside the Lines on ESPN. They will be with us next week. There no NO bowling this Sunday, 1/27/13, as East Meadow lanes are unavailable. For the Strike Kings, history repeats itself– an indecisive win. Strikes ‘n’ Spares almost break even while missing their anchor again. The lanes were typical East Meadow oil pattern – with a sprinkling of unsupervised children (rooting for their “Mufthy the Magician”) on the next lane over. In Game I, the Strike Kings were leading for most of the game. Strikes ‘n’ Spares mounted a strong last few frames, save for Amaad B. Naeem took his point against Nisar 141 vs. 130. Raza took his point against Eddie 149 (plus handicap) vs. 152 – a game in which neither bowled their respective averages. Ammad beat Amaad B. with a 178 vs. 129. Don Ali bowled a 189 and lost to Mufthy who bowled a 200. Mufthy had a chance to give Strikes ‘n’ Spares the win by bowling three strikes in the 10th but it didn’t work out. Strike Kings win by 21 pins. Strikes ‘n’ Spares, perhaps shaken up by the close first game loss came back to win game II. Naeem, Ammad B. and Mufty take their points from Nisar, Ammad and Don Ali respectively. Eddie took his point from Raza, 201 vs. 157. In the 10th frame, Mufthy hit a couple strikes making it impossible for Don Ali to make up the difference. Strikes ‘n’ Spares win by 15 pins. Game III was another close one. Naeem completed the sweep in his individual matchup against Nisar 162 vs. 130. Eddie beat Raza 203 vs. 155 and Ammad beat Ammad B. 141 vs. 145. Mufthy closed out with a few strikes in the 10th frame to complete his sweep of Don Ali 222 (plus handicap) vs. 234. At one point the Strike Kings had a good lead, later the Strikes ‘n’ Spares took the lead. Then it all came down to the 10th frame. Eddie, Ammad and Don Ali all got strikes pushing the Strike Kings to a win despite Mufhy’s 10th frame strikes. Strike Kings win by 15 pins. Mufthy and Eddie showed up with two 200+ games for their respective teams. Naeem was key for Strikes ‘n’ Spares as he (and Mufthy) both took all three points in their individual matchups. One thing must be noted about Strikes ‘n’ Spares – even when spares are missed they are more often than not missed by small margins. That is to say that there are few gutter balls or wildly off the mark shots. At the end of the day, this makes a big difference since adjusting after missed shots does not require major changes that can take away from one’s concentration and confidence. Host Siddique Farooqi was flying solo tonight. Siddique's first guest was Chris King the voice of the NY Islanders.They talked about the NHL and the lock out and how they are bringing back hockey. The discussion was of the die hards of hockey how the lock out will affect them. The Islanders were previewed thoroughly along with players that were missing and how the shortened season helps them or hurts them. Siddique was then joined by Lamar Basnight a player who has come in to the South Asian Basketball League's Western Conference and totally dominated including an epic 22 point 30 rebound and 5 assist game. Ayaz Daddy Dar called in to give his weekly update of the South Asian Bowling League. Daddy Dar of course gave his rants and let everyone have it. Lastly they talked about Manti Teo and the NFL playoffs, who were they going to pick? Baltimore or New England? Greenbay or the Sanfrancisco 49'ers? All week Yash has been calling out Wahid on Facebook even though Wahid doesn't have Facebook. Yash backed up his talk taking 3 points from Wahid. This is possibly a preview of a first round matchup, as Asian Sensation made a huge statement with the win. Balls n Strikes didn't win the matchup but they did take 9 points from a good Asian Sensation team. The real story was Abdul bowling a season high 162 and bowled a turkey. If Abdul can bowl like that, this team will be very scary to face in the playoffs. The good news is they beat the number one team Strikes n Spares this week. The bad news is like usual they take less than 14 points. More good news is, it looks like they have locked up a playoff position. Raise your hand if you want to face Eddie and The Great Don Ali in the playoffs. Down goes Frazier, down goes Frazier. Strike n Spares lost to Strike Kings this week in a big statement series by Strike Kings. Hey commish, stop taking vacations. Your team needs you!! We know Ayaz, we know. Whoseeee better than you? ASIF!!! Asif is on a tear and has made a late push for MVP of the league. He has bowled 3 more games over 200, and looks ready to lead the Pin Pals to the big dance. Did Cinderella's Fairy godmother turn Alan from a pumpkin into a bowler? Alan bowled a 206 average sunday and was a big reason for a huge Force victory. Good night sleep tight don't let the bed bugs bite. The fans in Pin Smackers land are getting very angry as this team went from making the championship game last year, to missing the playoffs. Looks like Abhi and co will have to do some soul searching at the end of the season. Another week another defeat. Maybe Gage has to find is inner Ray Lewis and pump up his team. With 3 weeks left they need to sweep all 3 matchups. ﻿﻿﻿﻿This week’s PLAYER OF THE WEEK goes to Balls n Strikes Wahid Omarzai. Wahid averaged a 210 for the week and won 2 out of 3 match up points. He also bowled the 4th highest single game of the season with a 257. Wahid is currently in 11th place in league average with a 176.1 and has his team in the 5th spot. Oh boy, the Pin Pals are on a roll, SnS wants their respect (...again and again), and some new members to the 200-club won't pipe down. Will Jason get more grief from league members ?? Will the clear-cut rookie of the year finally make some noise ?? Here it is, this week's SA Bowl Mock ! For the 2nd time this season these two teams went head to head. Both times SnS has played Force without their best bowler Jason Reis. Last time they met SnS took a remarkable 21 points from force. But since then Force has much improved as Prince has carried them from being an 8th place team up to a 5th place team now. SnS had a very balanced attack as each one of their players scored in the 160s , with Amaad Bhatti leading them with a 169 followed by Naeem & Raza with a 166 and Mufthy with a 161 . Force was led by Prince with a 199 who went head to head with Mufthy as they were tied for 2nd in most match up points won and took game 1. Abbas Dastgir helped out with a 174 and got force there 2nd point for the game. Allan bowled his average with a 146 but Riz had trouble going up against the leagues match up point leader Raza and bowled a season low 120. This game was won by SnS in the last frame on the last ball by Mufthy Dastgir. SnS was down 19 points in the last frame. Mufthy bowled a 9 spare and needed a strike to bring home the win for SnS. He showed that he still has what it takes to be an anchor and bowled the biggest Strike for SnS this season. SnS won the closest game of the season 812 – 811. 138. Notably Amaad struck out in the 10th frame for the 2nd time in 2 games. Naeem cooled down and lost his match up to Abbas again 149 – 138. Riz bounced back with a 151 but it wasn’t enough to get Force a point as Raza bowled a 183. Mufthy and Prince battled it out once again with Mufthy evening the score between the two 176 – 160. SnS didn’t let force hang around this time and took total pins by 80. Game 3: Force 5, SnS 2 plus total pins. In game 3 Force came out strong. Prince bowled a 200 and Allan bowled a 162 both won their individual points. Riz also stepped it up and bowled a 174 but once again it wasn’t enough as Raza bowled a game high 201. Naeem bowled a 157 and got his point from Abbas who cooled down to a 144. In the end, Force won their first game of the season against SnS but by only 13 pins. SnS showed once again that even with out thier best bowler they still have what it takes to win . As for Force they came 2 points short of handing SnS 2 loses in one week which only has been done once before this entire season . It was close but it wasn't enough . This matchup was a win for the Strike Kings but not the decisive win one might have expected considering the fact that the Snipers only had three of their regular starters. Eddie gets “side-swept” by Gage – who was instrumental in the Snipers taking game II. In game I, the Strike Kings held steady throughout the game. Nisar took his point against Patrick with a 167 vs. 80. Ammad (barely) took his against the blind with a 109 (plus 46 pins handicap). The blind was being filled in by a fellow named Frank. Don Ali took his point against Guerrier with a 194 vs. 175. Gage had a big game of 223 and took his point against Eddie who bowled a 199. The Strike Kings take the game but not by a wide margin. In game II, Raheel came in for Ammad and bowled a 106. While Ammad had an off game earlier, Raheel just didn’t adjust to the lanes – throwing down the middle with a hook and expecting good things to happen just isn’t a good strategy at East Meadow. Despite the low game Raheel (with handicap) takes the point against the blind. Nisar lost his point against Patrick while Eddie lost his point against Gage, who was on fire this game as well with a 213. Don Ali took his point against Guerrier, 215 vs. 195 but it wasn’t enough. The Strike Kings lose by over 50 pins. In game III, Nisar takes his turn with an under 110 game by bowling a 106 – losing his point against Patrick. Raheel takes his point against the blind with a 146 (plus 54 pins handicap). Eddie gives away his final point to Gage by not adjusting the breaking-down of the starting oil pattern and bowling a 139. Gage only bowled a 144, coming off the two great games earlier. Don Ali bowled a 247 vs. Guerrier’s 206, completing the sweep of this individual matchup. The Strike Kings win the game by less than 40 pins. Another week and another disappointment for the Strike Kings. When your 180 average bowler gets swept you can’t expect to win decisive victories. Same goes for when 3 members of your team bowl a game BELOW 110. Spreading those low scores across three different matchups and three different team games only puts more pressure on the other members of the team. It also shows something that needs to be worked on – namely adjusting better to the lane conditions of the day. Better bowlers traditionally bowl better as the day goes by. On a good day, game II is better than game I and game III is better than game II. Don Ali followed this pattern while Eddie and Nisar did not in this matchup. As we all know, showing up can sometimes be half the battle. The Snipers were in a tough position with only three regular starters. Had they had a fourth starter, they could have easily taken 12 points (or more) instead of only 8. Guerrier bowled a decent series overall (576) and Gage had two great games. If only a 4th started was there for this matchup. Asian Sensation came close but couldn't seal the deal. 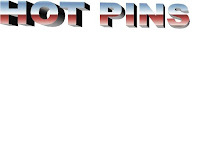 A lost to their rival Pin Pals is huge especially when they are both battling for the 1st round bye. Expect Yash to be at the lanes every day practicing. Balls n Strikes are finally on the winning side of things taking out a "hurt" Pin Smackers team. Everyone could hear Hakim screaming "Wahidddddddd" as he bowled a career high 257. Wahid has beaten Jason and now has beaten Abhi. This guy is for real. Strike Kings only got 15 points while Snipers had only 3 bowlers. How is that possible with Strike Kings talent? It's almost like this team does not want to win. No Jason, no problem? It wasn't easy for SNS as they barely beat team Force. Does this show they don't need Jason? It looks like without the Jason aka the chosen one, this team is beatable. 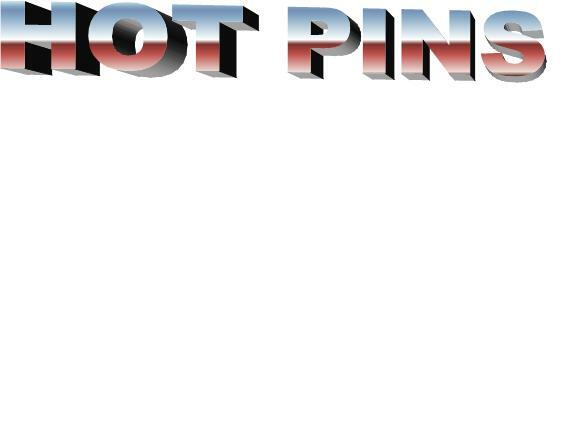 Can anyone beat Pin Pals? These team is hotter than a beauty contest. This team is in championship mode and it looks like they can not be stopped. Even though Force lost, they have to feel good. They lost game 1 by 1 pin to Strikes n Spares which would of dramatically changed the total points taken for the match up. Force finally brought 4 guys to the alley which shows 4 bowlers is usually better than 3. I think Pin Smackers need to hold tryouts for team nurse. Not only did Balls n Strikes destory the Smackers, but it looks like Abhi, Sony, and Eugene are now hurt. Can someone please tell them this isn't football, it's bowling? You have to feel bad for Gage. Gage went the penthouse to the doghouse in less than year. I guess team Snipers only point to get up in the morning is to play spoiler. The MVP award always causes arguments for the simple reason that no one can truly define the word 'valuable' in the sports world. Is it the best player on the best team? Is it the player who helps his team exceed expectations? Is it the player who carries an otherwise pedestrian squad? Each person views value differently, and just by looking at the major sports, you can see that even they can't come to a consensus on what's a true MVP. So if you expect our dysfunctional league to get it right, clearly you don't watch Balls of Fury. With all of that being said, since our league is three-fourths of the way complete, it's time to analyze any league's most controversial award. Let it be known that while this writer has his biases, this article's purpose is not to pick an MVP; rather, to outline the different MVP candidates, what "tier" of the MVP discussion they fall under, and why they could/couldn't win the MVP award. These tiers are in no particular order outside of the first two tiers. Meaning that everyone from tier 3 onward, in my opinion, has a legitimate chance to walk away this season's MVP. Everyone's in this group for one of two reasons. Guerrier has taken the title 'league's best bowler no one talks about' away from Khaled. His 184 average, to me, makes him the runaway ROY. The only reason he's not getting noticed is because he's on the last place Snipers. But just look at this past Sunday. He took all 3 points from Jason 'I rarely lose' Reis. NO ONE can make that claim this season. Imagine if Guerrier was on a team fighting for a playoff spot? Which brings us to Abhi. His team IS fighting for a playoff spot. He's 3rd in average. Yet he's nowhere near the top 10 in total points scored for the league. Normally this wouldn't make too big a deal; except Abhi's team would not make the playoffs if the season ended today. Even if Abhi does get his team into the playoffs, a lot of people believe his team has under-preformed for most of the season. Keep in mind, this same squad finished #1 overall in season 1. The fact that the Pin Smackers are in this spot this late in the season keeps Abhi from getting into the debate. Under normal circumstances, some combination of Raza, Mufthy, and Amaad would be actual MVP candidates. They're on the best team by far, and Mufthy's top-10 in average, while Raza leads the league in points scored. Amaad has a 167.8 average from the lead-off spot, which is the highest average from the #1 position in our league. The reason they're not in? It's simple, they have the league's best bowler in Jason. More on him later, but the fact that he's so dominant changes the team dynamic. With Jason expected to miss the next month, it's possible one, both, or all three of them will make it into the discussion, but until that happens, they cannot be considered yet. Surprised? Did you not read the introduction of this article? Value can be defined in many ways. So what makes these guys special? Two factors come into play in their favor. The first being the improvement during the season. 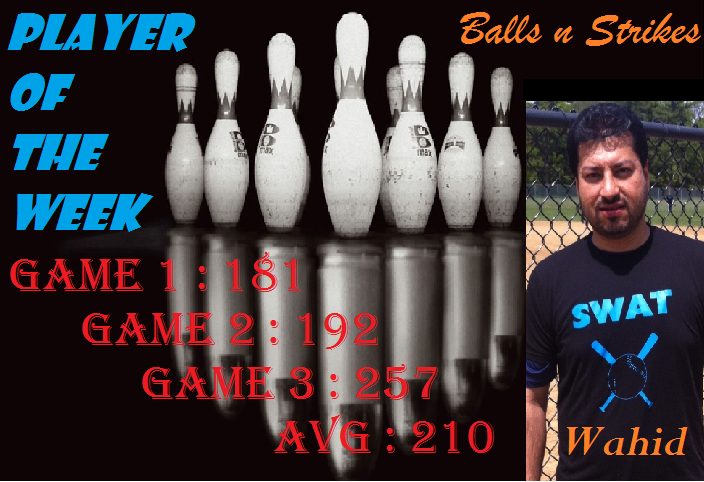 Amin has bowled a 172.9 average since week 5, which is 30 pins higher than his average from the start of the season. Dave has bowled a 168.5 average since week 5, which is 20 pins higher than his average from the start of the season. The other factor is that they both get the job done in their match-ups. Amin is 5th in individual points scored, while Dave is tied for 6th in the same category. So even as their handicaps have dropped, they've still been able to score points week in and week out. That is the sign of a truly good bowler, even when they're giving up pins based on the handicap, they're able to win their match-up more often then not. While neither will get serious top level MVP votes, in my view these guys deserve to be mentioned for their improvement and for the great work they've done week in and week out. After a slow start where everyone was writing them off, the Pin Pals are now sitting pretty in the #2 spot, and many believe they are the team with the best chance of taking down Strikes 'n' Spares. While Chris and Dave have done their part, it all starts with Asif and Ayaz. Asif has improved from last season with an average of 191.2 (4th overall). To make that more impressive, after his slow start (170 over first 6 games), in his last 16 games, his average has been a staggering 198.3. Meanwhile, Ayaz continues to do his thing, with an average of 184.2 (5th overall), and scoring 16 individual points (tied 9th overall). Ayaz sets (a loud and annoying) tone for the Pin Pals by taking on every anchor, keeping the pressure on the opposing anchor to close out, especially at the end of matches. Even if he's struggling, he's still regarded as one of the league's best closers. After the hot start by the Strike Kings, they have settled in the middle of the pack. Don Ali has once again been one of the league's most consistent bowlers, averaging 200.7 (2nd) while scoring 18 individual points (8th). Looking deeper at Don's scores, of his 33 games this season, only six games has he scored under 180. Compare that to a whopping seventeen games of 200 or better. Needless to say, Don brings it week in and week out, and gives the Strike Kings a dominant bowler week in and week out. Eddie has also had a good season, with an average of 180.8 (7th), and scoring 16 individual points (tied 9th). Eddie also has a number of top 10 high series and high games to his credit. On top of that he gives the Strike Kings flexibility to rotate with Don in the 3-4 spot, giving the team an edge that most teams do not have. When Eddie is on, the Strike Kings are usually very difficult to beat. Rookie team Balls 'n Strikes got rudely welcomed to the league, losing in their first 2 weeks before finding their groove, as they currently sit 5th in the standings. This is largely attributed to Wahid and Shumail. Wahid started the season slow (157 average through the first 2 weeks), but has picked it up since (177 average after week 2). Wahid is just outside the top 10 in both average and individual points (12th in both categories). With a power approach, he can bowl the same way despite lane conditions. So while a number of curve ballers have had up and down games this season, once Wahid found his stride, he's never looked back, and given Balls 'n Strikes solid series week in and week out. Shumail has had another great season despite missing significant time. Had he qualified, his 185 average would be #5 overall, and his 15 individual points is #11 overall. Usually when he shows, Balls 'n Strikes becomes a team that few can beat, as evidenced by taking Strikes 'n' Spares to the limit earlier in the season. So it really helps Shumail's case that they rarely lose when he's there, and bowling along side Wahid. Ayaz vs. Asif - Clear advantage goes to Asif here. Asif has gotten better each week, while Ayaz has gotten worse (176.6 average the last 5 weeks). Also, while it's true Asif has scored one less individual point than Ayaz, Ayaz has bowled 8 more games than Asif. What does this mean? Asif's been better, plain and simple. Don vs. Eddie - Again it's pretty simple, Don gets the nod here. Don has been consistent all season, hovering around his 200 average. Meanwhile, after Eddie's hot start, he's been averaging around 175 over the last seven weeks. Eddie has scored one less individual point than Don in 6 less games, but Don's consistent high level effort makes him the stronger candidate. Wahid vs. Shumail - This is where it gets interesting. In terms of pure numbers, Shumail is better. But Shumail has shown to half the games, while Wahid is there every week. On top of that, Wahid usually bowls anchor, while Shumail goes third (meaning Shumail has a better chance to score a point). The advantage goes to Wahid here. Being there is half the battle, and Whaid has carried his team to victory some weeks without Shumail there. Shumail has never even had to carry the team without Wahid there. ...Any ideas? Unless that number is describing you, or your a total stat-head like Raza, I'm guessing you have no idea. The numbers above describe the average of the 2nd best bowler of each team, in order from least to greatest. This is not a disrespect to Riz of Force; he's done an admirable job stepping in as the team's #2 bowler after they lost Moe to a season-ending injury. That being said, it can't be ignored that he'd be a really good #3 bowler, but isn't quite at the level of a team's 2nd best bowler just yet. Not only has Prince had to work without a true #2, he's had a short roster 4 out of the 11 weeks so far. On top of that, Force was once 34 points out of a playoff spot this season (to put that in perspective, the Snipers are currently 33 points out of a playoff spot). It's impressive Prince has carried a team buried at the bottom of the standings into the playoff picture (Force is currently 6th). It's probably more amazing Prince hasn't snapped and killed someone from the league yet because he's had to bowl short-handed more often than any other team. Prince's average of 177.2 (9th overall) isn't spectacular, but he's scored 20 individual points (2nd overall), so he's finding ways to win in-between making phone calls in hoping he'll have a full roster. Moreover, while Prince doesn't strike a lot, he's leading the league in spares, so he finds a way to close frames one way or the other. Meaning the opposing anchor has to earn his victory. Prince's MVP candidacy will be based on where Force finishes at the end of the season. If they make the playoffs, and Prince continues his play (188.4 the last 3 weeks, 9 points scored), it will really make him a legit contender. However, if Force misses the playoffs, it will be on his shoulders. In order to be labeled as the bowler who does more with less, you have to actually do something noteworthy. Jason's been the league's best bowler from day 1. This season, he's upped his game to new heights. His league leading 217.5 average is nearly 20 percent higher than the next highest bowler. His 3 lowest games of the season are 172, 183, 189. His lowest series is 585, and that's the only time he's bowled under 600 this season. Even if he doesn't beat the opposing team's anchor (tied 6th in points, so he usually does win), he gives his team a lot of pins, so they are unlikely to lose total pins in a match. Not to mention, he's currently the leader in strikes, and it's not close between him and #2 in that category either. So what's stopping us from crowning Jason MVP right now? Since the award is based on value, and not simply the best numbers, one has to question Jason's value. Jason missed two weeks early in the season, and his team didn't even blink, and worked their way to #1 without him. They even bowled one week with a blind for 1 game instead of Jason, and they still won that game. Upon his return, the team has never even come close to relinquishing the #1 spot. Obviously, Jason makes Strikes 'n' Spares the team to beat this season, but they'd clearly be a playoff team without him. With Jason expected to miss most of the next month, we will learn just how valuable he is to his team. If they once again do not miss a beat without him, not only does that hurt his MVP chances, but it likely puts Mufthy and Raza in the discussion. However, if they struggle, or somehow fall in the standings, Jason's stock goes through the roof. One of the few times the value of the best player on the best team will be tested. Asian Sensation has done a great job all season, and they're currently 3rd in the standings. Everyone on their team has been good/great all season long. Someone has to be in the MVP discussion. So Yash gets the nomination, as he's been the team's best bowler, and the team's anchor for most of the season. Yash has led a team that finished last in season 1. Their only pickup, Justin Reis, has bowled less than half a season, and hasn't been consistent even when he has shown (167.3 vs. 182.2 in the summer). So their improvement has come in house. After a hot start, Yash has settled around a 175 average for most of the season (currently 174.9, 10th overall). He's 4th overall in points (19.5), which is 2nd overall to Prince in points scored by an anchor. This all goes to show 'The Shark' has crept up from the depths to be one of the league's best. Like Jason, Yash's MVP numbers aren't helped by the fact that he's on a really deep squad. Khaled, the team's 2nd best bowler, has an average of 174.5, which is virtually the same as Yash's. He also has Justin, who while off, is still one of the league's most feared bowlers. What helps Yash is that Khaled has missed weeks, AND Justin has missed weeks at the same time. Yes, Yash still has Amin (written about earlier), and Jin (165.5 average) to help out, and that's nothing to overlook. That being said, Yash has anchored not as deep Asian Sensation teams and led them to victory. Yash's MVP candidacy will be on one thing. He's essentially a lesser version of Jason, as Asian Sensation and Strikes 'n' Spares mirror each other. But Jason's having a historic season. Yash is simply having a good season. Basically, Yash is going to need an amazing finish, and Asian Sensation is going to have a bye in order for Yash's MVP chances to gain real steam. With 5 weeks left in the regular season, all of these bowlers have a chance to really make a statement on who should be MVP. Will it be the historic bowler (Jason)? Will it be the bowler who doesn't have a lot of help (Prince)? Will Yash change his status as a 'default nominee'? Will one of the 'tag-team' bowlers do more to separate himself from his partner and make an even stronger case? More importantly, which of these 9 bowlers will carry their squads into a desired playoff position? Who will respond to the pressure of needing to be the best? This will be an interesting finish to a great season.